The monkies love to spend a day out at the beach every now and then, but my main gripe is popular beaches in Singapore like East Coast Park and Pasir Ris Park are overcrowded with people on weekends. Even non-beach parks like West Coast Park is no exception. 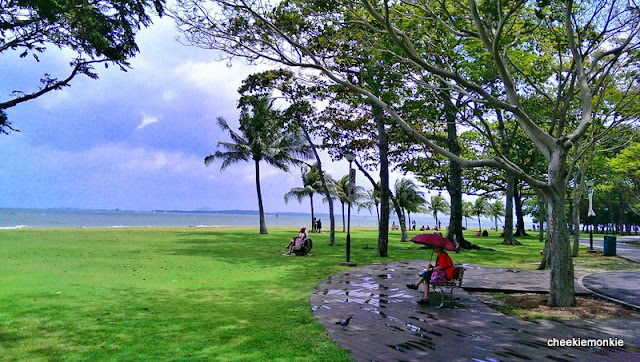 Well, that was until I stumbled on to this part of Singapore, otherwise known as Changi Beach Park. Changi Beach holds the distinction of being one of the only two remaining natural beaches in Singapore – the other being Sembawang Beach - AND also the unsavoury reputation of being the site of the Sook Ching massacre (search for the World War II Memorial Plaque if you are there). Okay, but that was a loooong time ago. 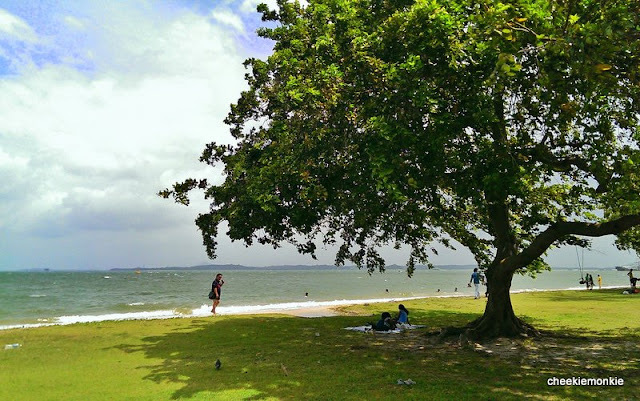 As one of the oldest coastal parks tucked away at the northeastern tip of Singapore, Changi Beach boasts stretches of pristine white beaches dotted with coconut palms, BBQ pits, park benches and shelters. 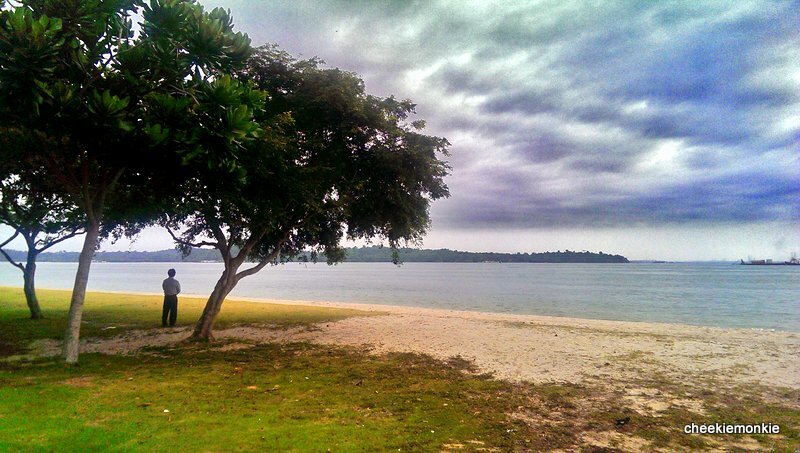 For me, the best part of Changi Beach is it is free from the usual crowds that its East Coast Park cousin is famed for. We were there on a Sunday afternoon and everyone at the beach had at their own private spot, enjoying the shade of the trees. 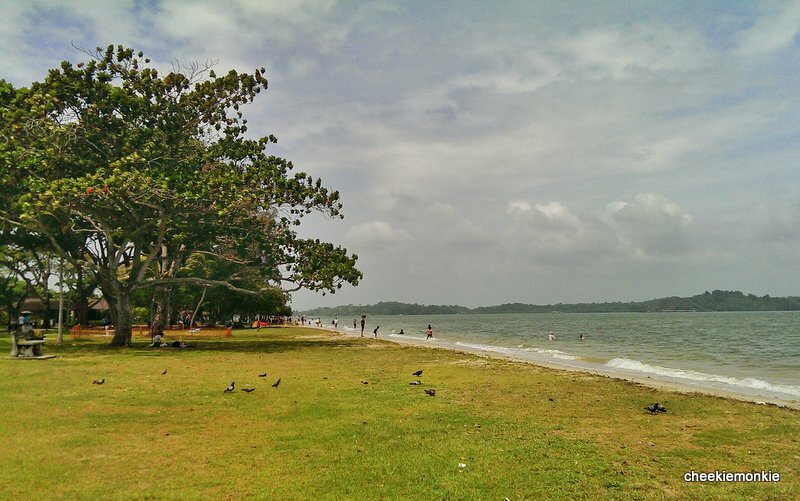 Changi Beach Park still very much retains that kampong ambience, perhaps thanks to its close proximity to Pulau Ubin which can be viewed from the most northeastern tip of the park. Everything about it is just so laid-back and relaxed. 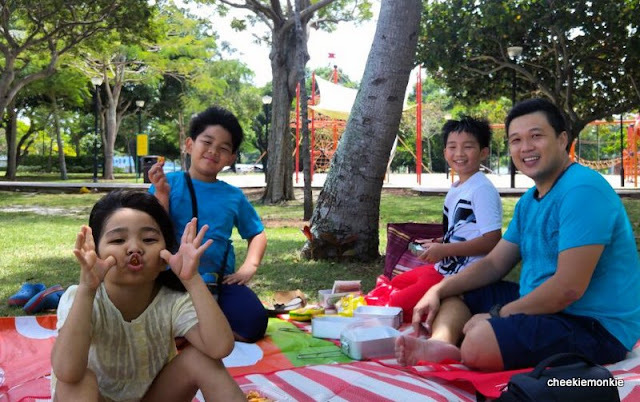 The park is 3.3km long so the relatively short distance makes it a great place to bring the kids for some cycling, scooting or roller-blading. In fact, Ale learnt how to cycle at Changi Beach Park over the weekend. Woohoo! I think it was partly down to the fact that the park is less crowded so it did not feel as stressful (for Ale as well as me!) 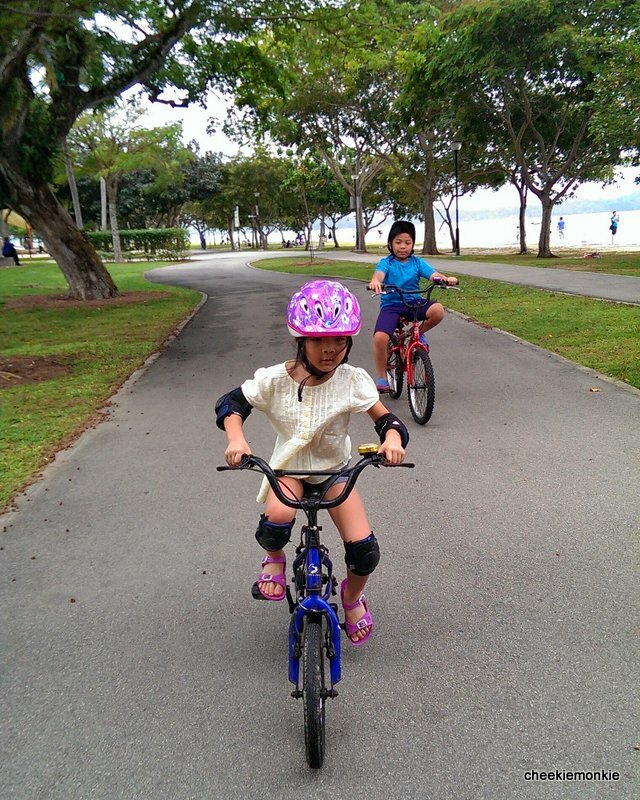 learning how to ride a bicycle along the cycling path. We rented our bicycles at the park's bicycle rental shop in case you are wondering. Rates are pretty reasonable: $4/hr for a small bicycle, $6/hr for a medium one and $8/hr for an adult-sized one. Other than the white sandy beach, Changi Beach is also home to two playgrounds for kids. One is situated near to Carpark 4 and is pretty much standard playground equipment for younger kids. 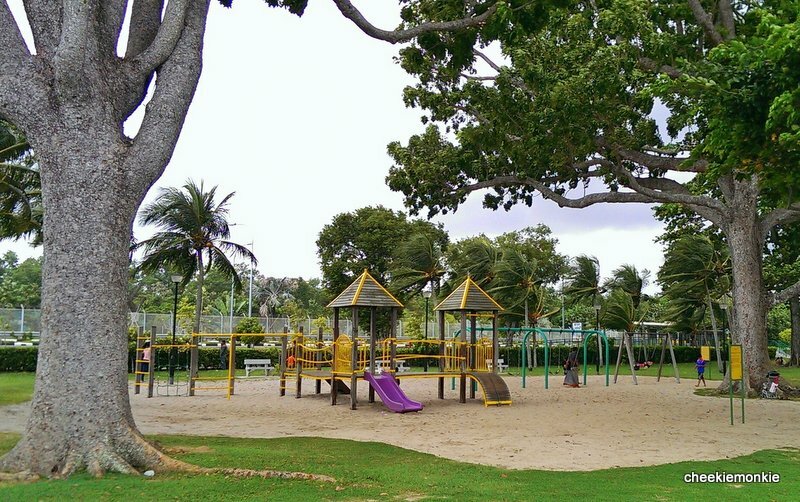 But if you have kids who yearn for more climbing and adventure, then the playground closer to the northeastern tip of the park (near Carpark 1) will be the one to gravitate towards. Sand playgrounds are increasingly rarer to find in Singapore nowadays. 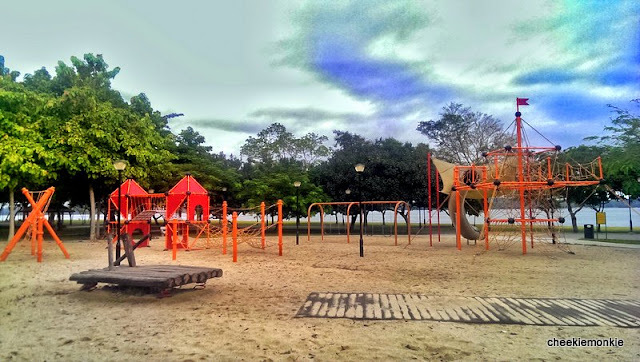 And this huge playground with a nautical theme was what the monkies clamoured to play in after first catching sight of it from a distance. 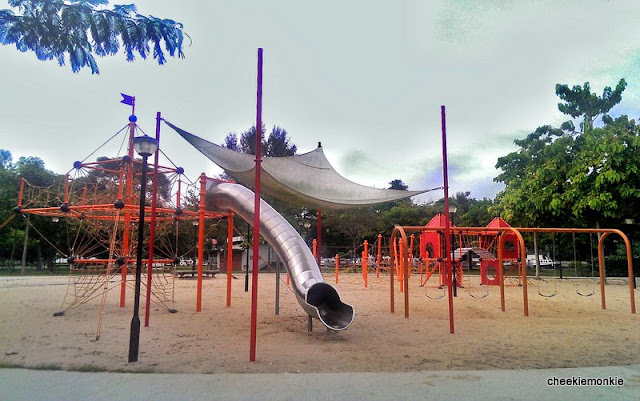 Kids can climb themselves silly at the spiderweb-like structures and wheeeee down from a 3-storey tube slide. 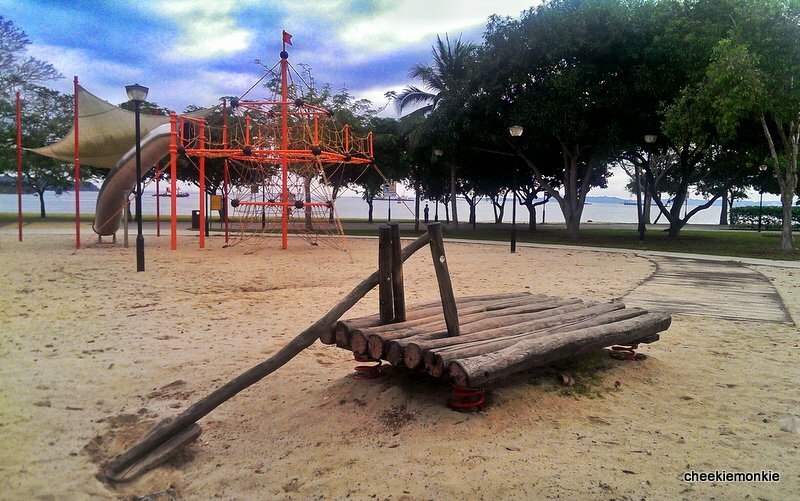 My personal fave has got to be the wooden castaway raft at the playground. The raft is built on springs and comes with a huge oar - which all points to plenty of imaginary play for the kids! 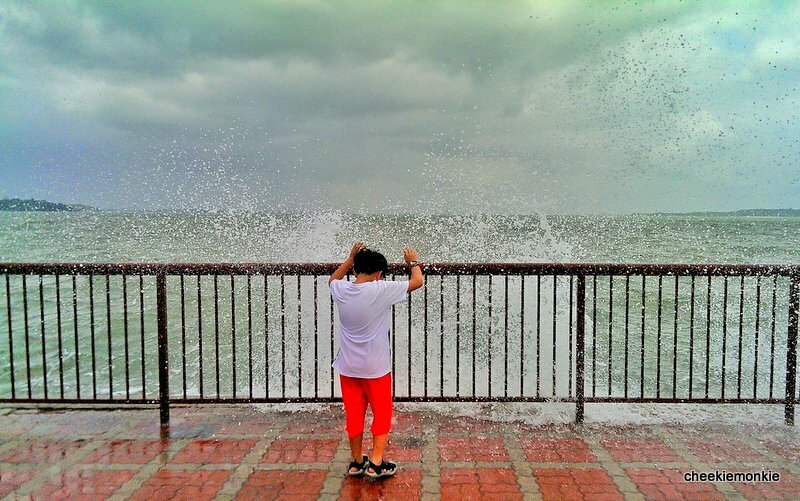 Or for a real sea adventure, kids can try to catch the big waves that slam on the coastal walk during high tides. 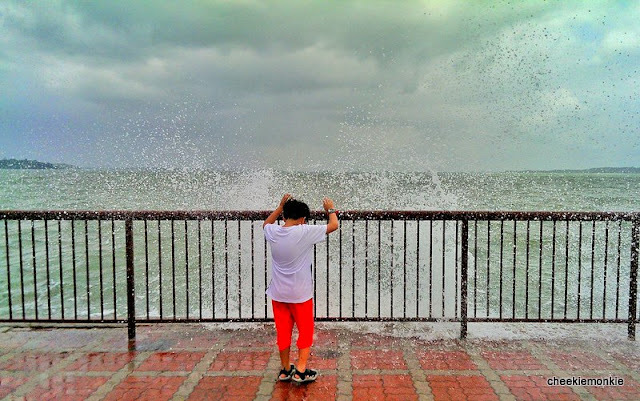 Wet, but fun! With more than adequate activities to keep the kids occupied, and coupled with barbecue pits and pavilions, Changi Beach is ideal for weekend picnicking. And we did just that. 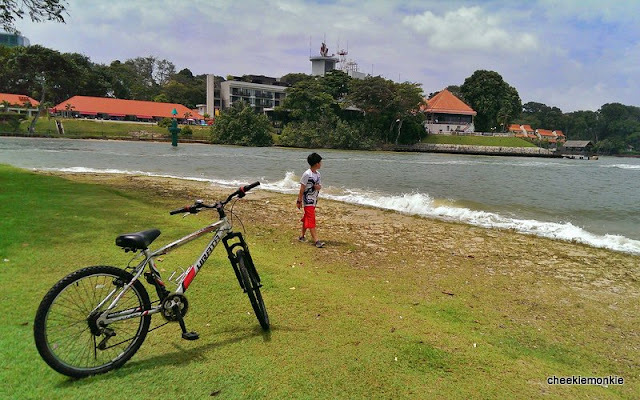 Or if you prefer not to pack your own food, you can dine at Bistro @ Changi, an alfresco café beside the bicycle rental shop, which serves food ranging from light snacks to main courses. In addition, nasi lemak haven in form of Changi Village is only a pedestrian bridge away. The park also has toilets, vending machines, water coolers, changing rooms with lockers and showers. 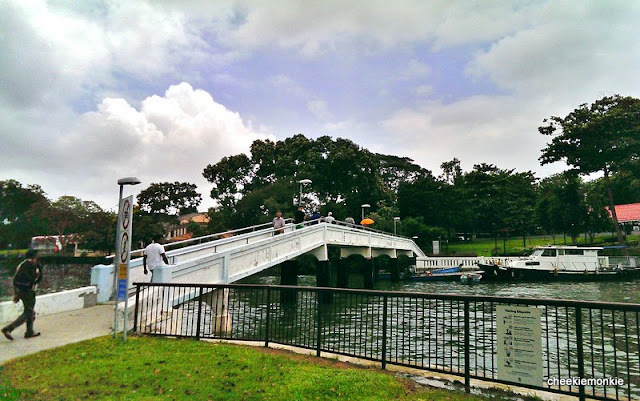 I reckon the beach is also a great place to watch the sunset and since the beach is really close to Changi Airport, one will be able to catch glimpses of planes flying overhead while on the beach – a highlight if your kids are crazy over aeroplanes! I think we have found our favourite beach in Singapore so yes, we will definitely be back really soon. 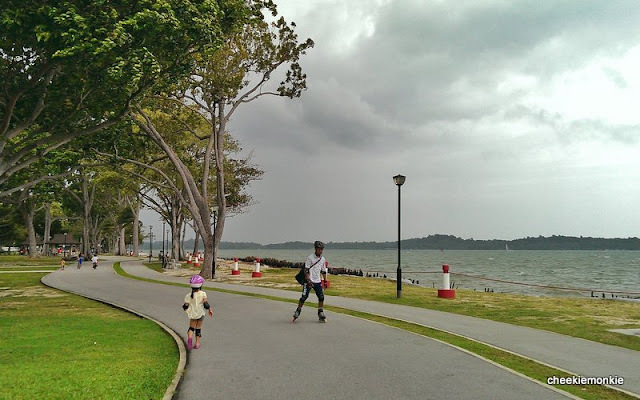 Because even though Changi Beach Park is agonisingly far away from our home, I daresay that this park is your best bet if you want to escape the maddening weekend hordes of people. Parking: Five carparks along the Park stretch. 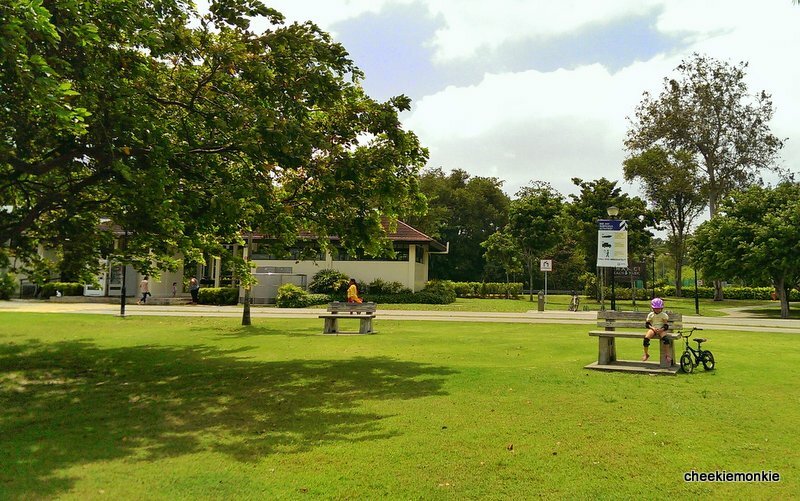 Carparks 1 & 2 are closest to the bicycle kiosk, bistro and larger playground.